PARIS and NEW YORK – July 15, 2015 – Mailjet, the all-in-one email service provider, today announced a $11M Series B funding round, led by Iris Capital, with returning investor Alven Capital and new investor Seventure. The company plans to use the funds to expand its global presence in North America, Southern Europe and the Nordic states, and to develop additional web-based marketing and transactional email tools. This announcement comes as Mailjet celebrates a number of impressive milestones: 75 percent customer growth over the past year, and over 15 billion emails sent to-date through its platform. With over 32,000 active customers in 150 countries, Mailjet enables businesses of all sizes and sophistication to send better marketing and transactional email. The company is passionate about helping its clients improve global deliverability, create beautiful designs, and send and track emails seamlessly. Mailjet continues to be a destination for top talent, tripling in size since 2014 with offices in Paris, New York, Berlin, London and Sofia. The company, first launched in 2010, plans to build out its team further in 2015 in response to customer growth in North America and Europe. Mailjet is a powerful all-in-one email service provider that not only enables our customers to send transactional and marketing email to their contacts but also better understand them, email after email. Mailjet’s intuitive tools and powerful APIs give senders the right amount of analytics to get the most value from each contact, for each campaign, and to reach each inbox. 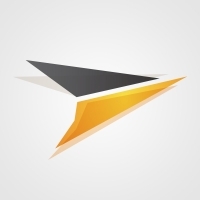 Founded in France in 2010, Mailjet is a market leader for sending marketing and transactional emails and serves more than 32,000 customers globally. Iris Capital is a pan-European venture capital firm specializing in digital economy. Since its inception in 1986, the Iris Capital team has invested more than €1 billion in more than 230 companies. Iris Capital targets opportunities in service and technology companies, and has offices in Paris, Cologne, San Francisco, Montreal, Riyadh, Dubai, Beijing and Tokyo.